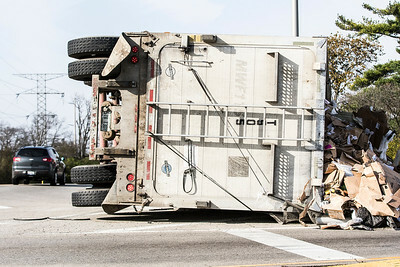 Sarah Nader- snader@shawmedia.com An overturn semi-truck carrying trash at the intersection of Route 176 and Route 47 in Woodstock Tuesday, Nov. 1, 2016. 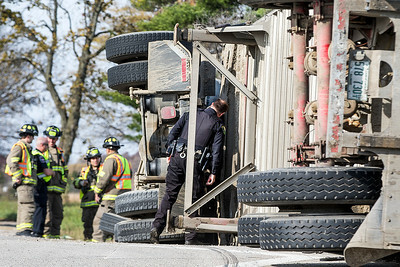 Sarah Nader- snader@shawmedia.com A Lakewood police officer investigates an accident involving an overturn semi-truck carrying trash at the intersection of Route 176 and Route 47 in Woodstock Tuesday, Nov. 1, 2016. 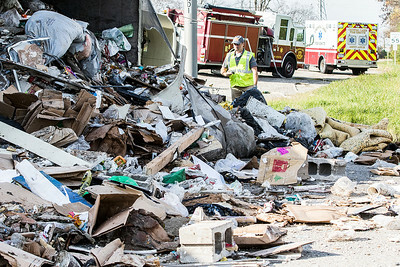 Sarah Nader- snader@shawmedia.com An investigator looks at the damage from an accident involving an overturn semi-truck carrying trash at the intersection of Route 176 and Route 47 in Woodstock Tuesday, Nov. 1, 2016. 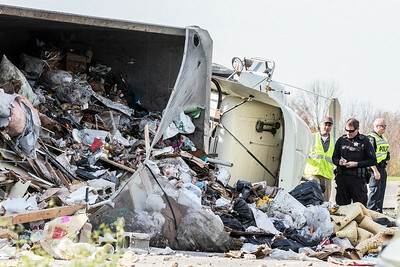 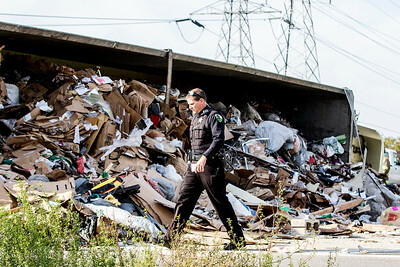 A Lakewood police officer investigates an accident involving an overturn semi-truck carrying trash at the intersection of Route 176 and Route 47 in Woodstock Tuesday, Nov. 1, 2016.